Trump’s “decertification” decision, rejected by our P5+1 partners, sets up Washington to violate the nuclear deal. Senator Bob Corker outlined a legislative framework for "fixing" the deal, while many other members of Congress relayed support for the agreement. 25 former foreign ministers urged Congress to uphold the agreement and avoid attempts to renegotiate it. EU foreign policy chief affirms Iran's compliance with the JCPOA and rejects renegotiation. 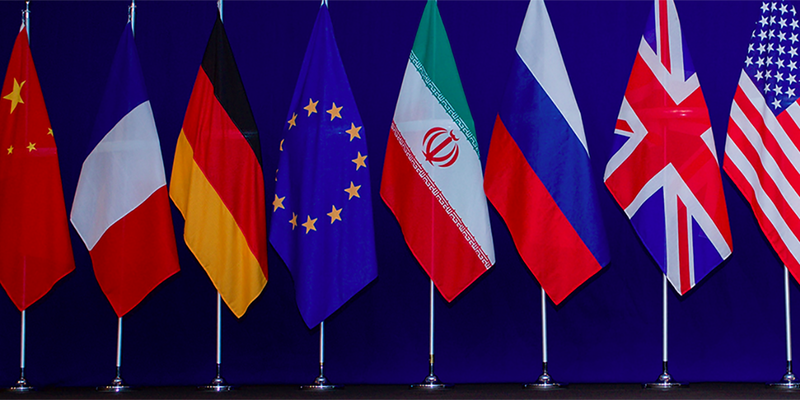 European leaders, nonproliferation experts, and grassroots groups have issued statements supportive of the deal. Senate Democrats requested reports from Trump officials if they are aware Iran was no longer in compliance with the deal. Ambassador Nikki Haley Visits Vienna to discuss Iran deal verification with the IAEA, President Trump's potential decertification before Congress threatens the nonproliferation regime at large, controversy continues to boil over accessing military sites in Iran, and more in this issue. The JCPOA Joint Commission meets amid President Trump's threat to decertify the Iran deal, Congress passes additional sanctions on Iranian entities in bill S722, Iranian Foreign Minister Mohammad Javad Zarif visits New York, and more in this issue. The Joint Comprehensive Plan of Action enters its third year, additional sanctions on Iran via bill S722 stall in Congress, Iran votes to adopt the Treaty on the Prohibition on Nuclear Weapons, and more in this issue.